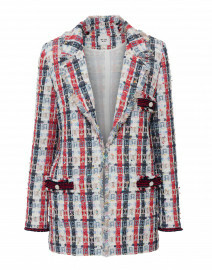 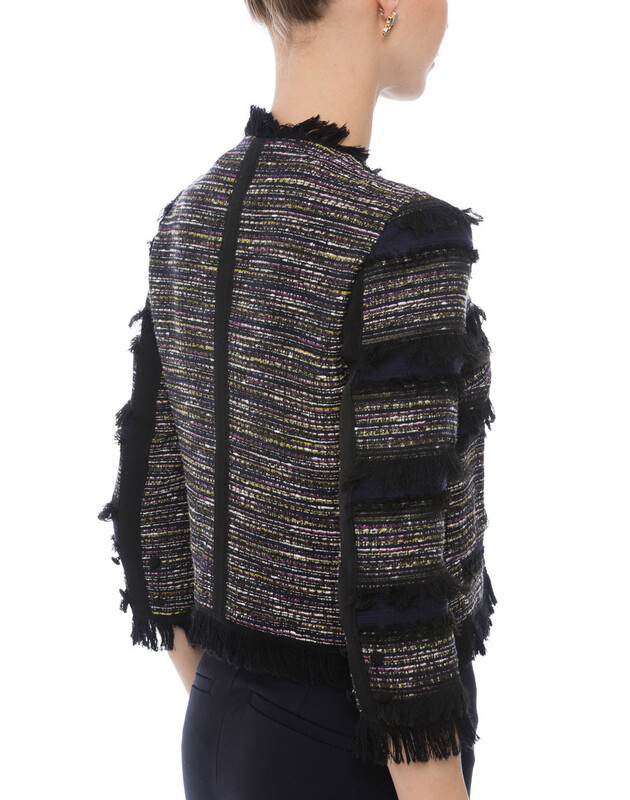 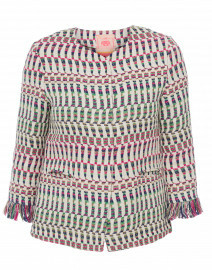 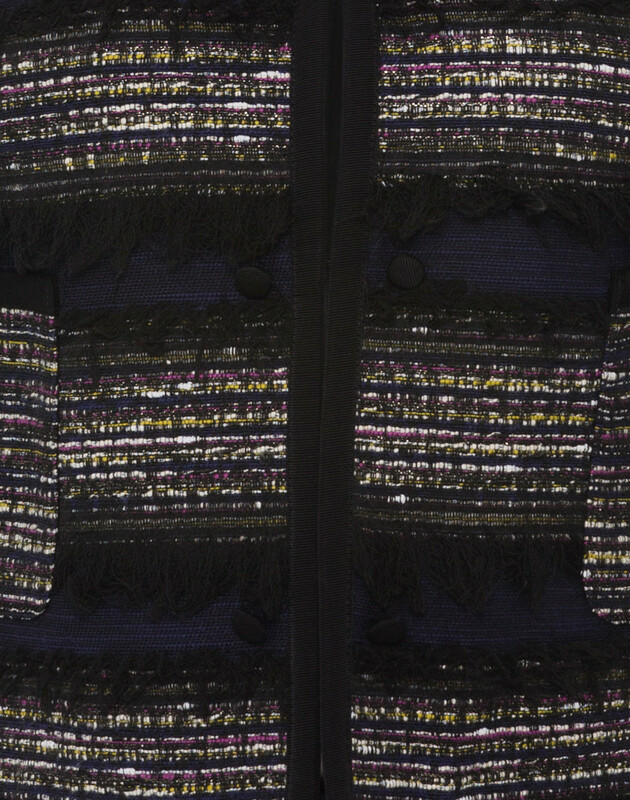 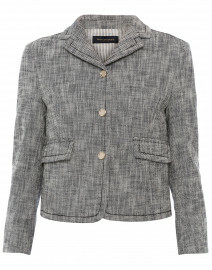 Sara Roka brings an air of luxury with this Behati white and purple tweed jacket. 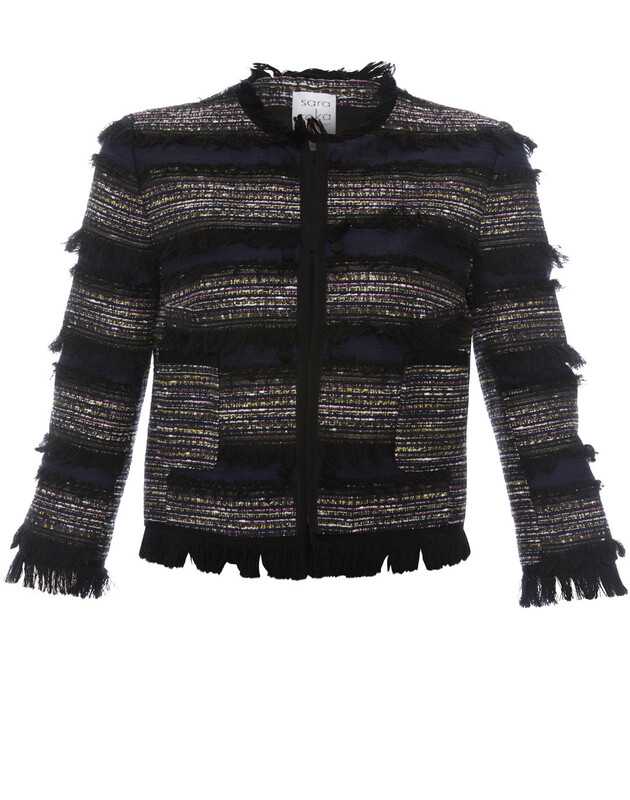 It’s Italian-made for a cropped slim fit, and finished with navy satin stripes and a fringe trim throughout the design. 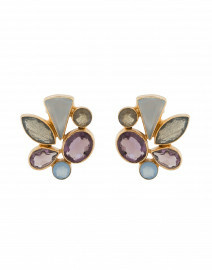 Wear it with slim fit pants and pointed-toe flats for a chic evening look. 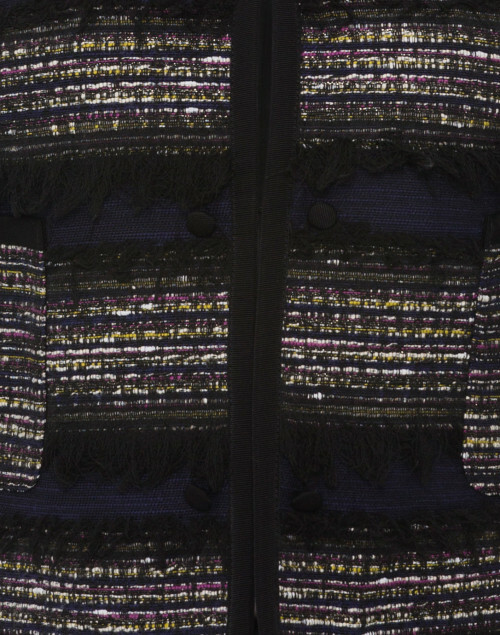 Length 19" 19.25" 20" 20" 20.5" 21"
Shoulder Width 15" 15.5" 16" 16.5" 16.5" 17"
Bust 36.5" 38" 40" 42" 43" 44"
Waist 35" 37" 39" 40" 42" 43"
Hip 36" 37" 39" 41" 42" 43"
Sleeve Length 17.5" 18" 18.5" 18.5" 19" 18"